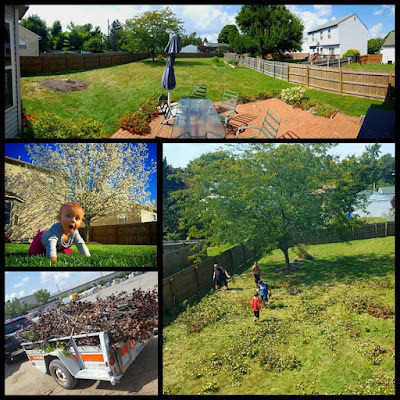 Stuck In The Buckosphere: So long tree, hello heat! My backyard looks VERY different now. In my last entry I showed how my parents were visiting Monday to help cut down a tree that had fallen over while we were on vacation. We cut it down to size and my neighbors came over to pick up any firewood. They also helped pile up the remaining limbs. So yesterday I rented a trailer and hauled it all away. The backyard looks VERY different without the tree there and we will no longer have that beautiful flowering tree in the spring and we will not have the shade on the patio or house. I thought about putting the limbs in the yard waste bags, but figured renting a trailer would cost less than $30 and save myself a lot of headaches of trying to put all the limbs in the bags. I sweat out about 20 pounds yesterday... Today I am SORE! The heat and humidity sticking around through the rest of the week. A few storms possible, mainly in the afternoons, through the rest of the workweek as well. 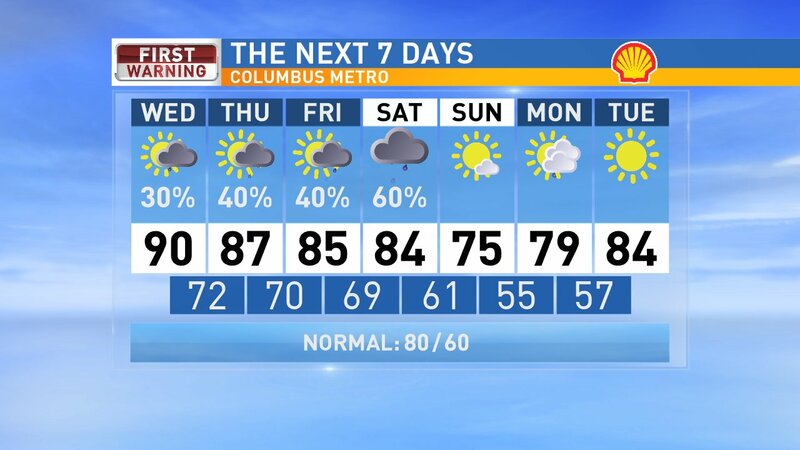 The best chance of storms will be Saturday with a cold front expected and then cooling us off by Sunday with drier air. Have a good one!